The Old Dispensary is nearly 400 years old and features beamed ceilings, sash windows and a Yorkshire Range. Footsteps from the cobbled stones of Church Street, down a quiet yard the Old Dispensary is the perfect romantic, characterful setting for your stay in Whitby. 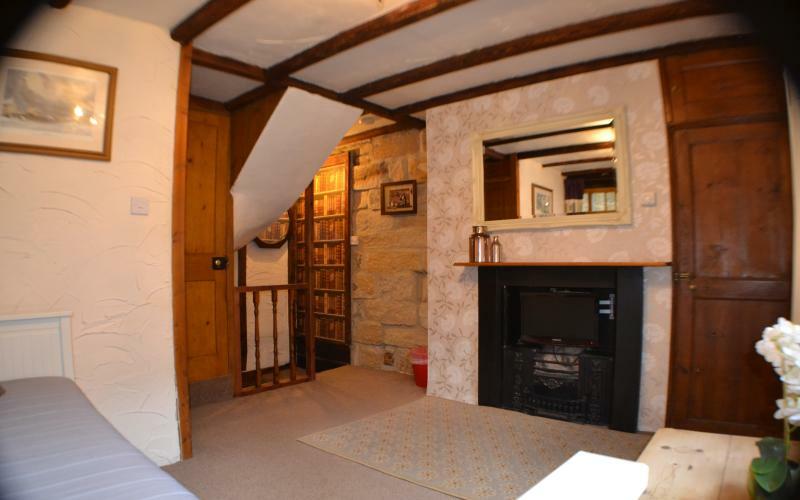 Located in the heart of the old town The Old Dispensary is a one-bedroom cottage situated over three levels. 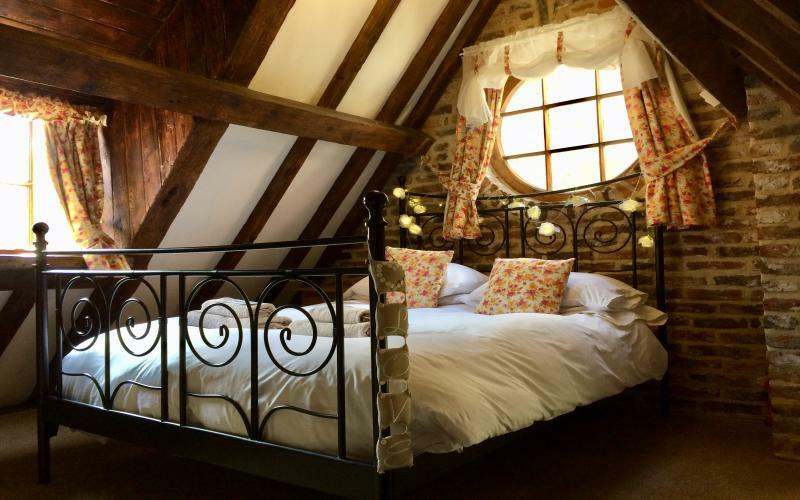 The quirky double bedroom, sits in the eves with a large circular window framing the cast iron bed, which sits under the beams that give this cottage its charm. 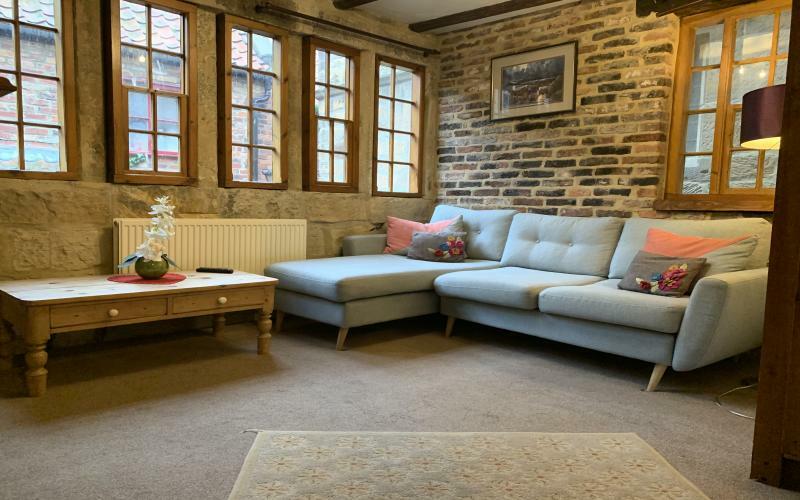 The second floor comprises a cosy lounge, with TV and day bed, the perfect place to relax and take in the uniqueness of this quintessential Yorkshire yard house. 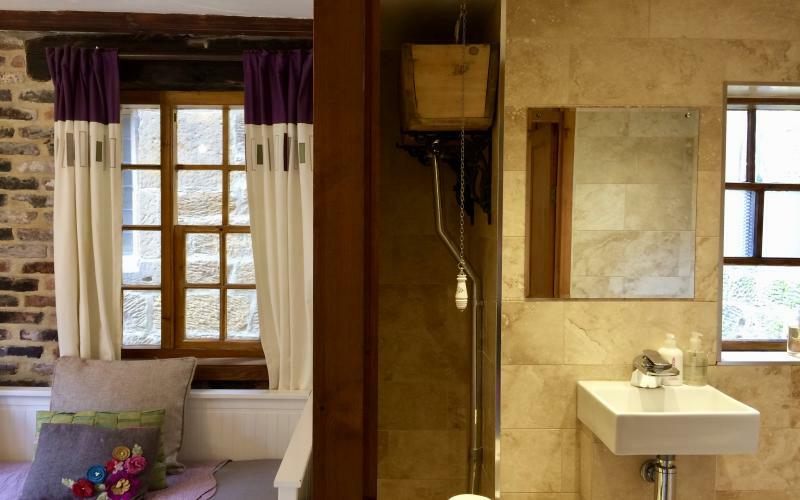 A wet room complete with rainfall shower head is also located on the second floor. Downstairs there is a kitchen with a quarry tiled floor, complete with dining table, leather sofa and TV. The Old Dispensary resides in a small yard adjacent to Sanders Yard Bistro where delicious boutique breakfasts are served daily and can be purchased at a discounted rate. The Old Dispensary offers the added luxury of having your breakfast served in the cottage, should you wish. Please discuss with staff on arrival. 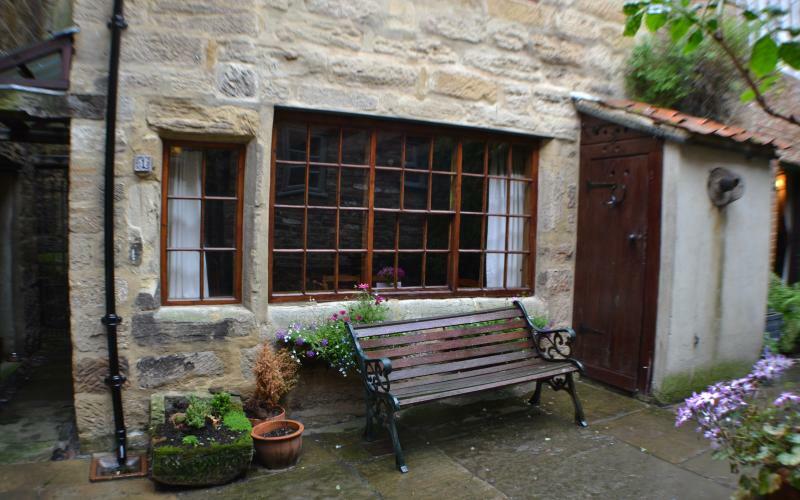 Due to the quirky layout of this cottage, The Old Dispensary is not best suited for those with mobility issues, if you have any queries regarding this please call our booking line for more details. 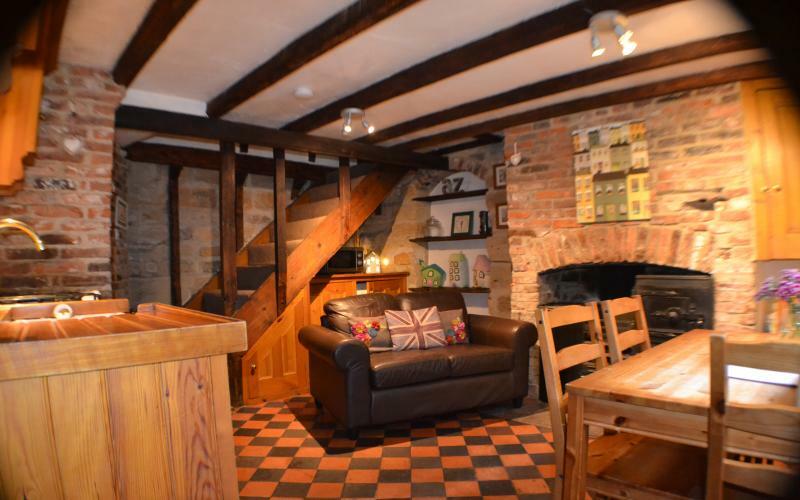 With Whitby Abbey, the 199 steps, sandy beaches, quirky shops, sumptuous cafes and a multitude of restaurants right on your door step, The Old Dispensary is all about location, location, location. Well behaived dogs are welcome in The Old Dispensary. Please discuss with one of our team during the booking process. There will normally be a £5 per dog per night charge.